I grew up in a small town in Yamaguchi, Japan. I moved to this country 20 years ago to go to college and ended up staying here. Fast forward, I got married and got myself two little girls, currently living in La Crescenta, California. My inspiration comes a lot from my own kids; what they say, how they see the world, etc. I also get ideas from paintings or graphic design from all over. 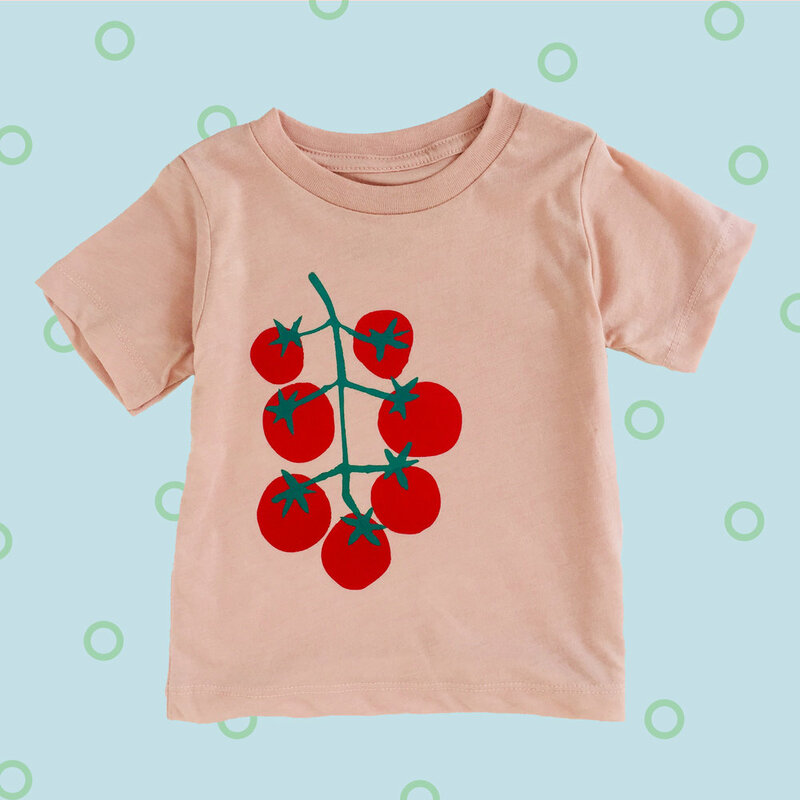 Arigo Mama is a children's apparel company that offers good design with good materials without breaking your bank! The shop is for people with killer sense of style who can't stand boring clothes for your kids but also care about the quality and an environment. Babies don't always have to be cute and adorable but can be cool and artsy sometimes. Arigo Mama was born after I had my second child. I was a graphic designer, but couldn't go back to commuting 3 hours each day and wanted to be my own boss. I learned how to screen print and started designing t-shirts and onesies for my babies. The name, Arigo Mama, came from my first daughter. When she was a little, she couldn't quite say, "Arigato, mama" (Arigato means thank you in Japanese) but she used to say, "Arigo, mama." I decided to use that as my company's name as I wanted keep that sweet memory of her trying to thank me in her own way and also I want to inspire other mamas/papas that your little ones than you for everything you do even though they might not be able to say it right. So that's my story. First of all, I wanted to create gender neutral clothing. I didn't want to make typical pink shirt with princess for girls, dinosaurs for boys. I wanted to come up with graphics or messages that are a little more unique to promote positive attitudes, healthy eating, art, mother nature, something that I care and I want my kids to be proud of. Secondly, I also wanted to make sure I use high quality materials with environmentally friendly water-based ink. PVC Free & Phthalate Free. You can wash with a machine 100 times and it still holds up! And lastly, the good design and great quality can be still affordable to parents. I, myself, as a parent, don't want to spend too much money on kids clothing when you know they are not going to wear it too long.